Discussed by Gendler and Stich on Philosophy TV. 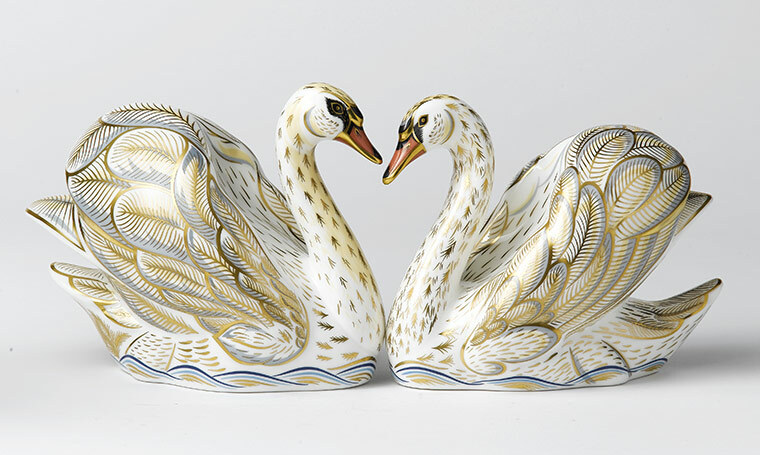 Royal Crown Derby has produced two procelain swans, one called Kate and the other William. For 590 pounds (close to $900 USA). The description says “female and male swan.” So the suggestion is that Kate is the figure on the left. I wonder. And I just can’t wait to see what’s offered to us next to mark the engagement.